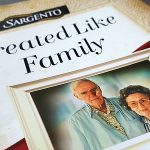 Gross humor and kids go hand in hand and now there is something new for them to laugh about! 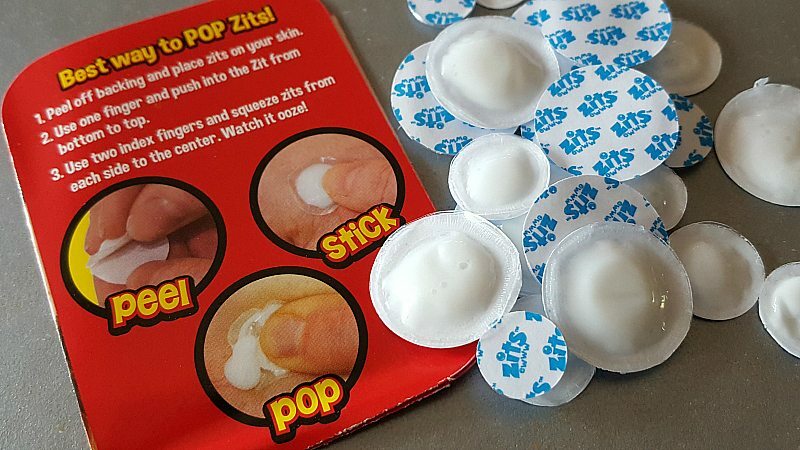 Fake Zits may not have been at the top of your shopping list, but I can guarantee that there are kids begging for this new fad toy. These are whiteheads like you have never seen them before. Pop n Play Pimples are little stickers that kids can stick to their faces. When you squeeze them, a gross looking liquid oozes out. 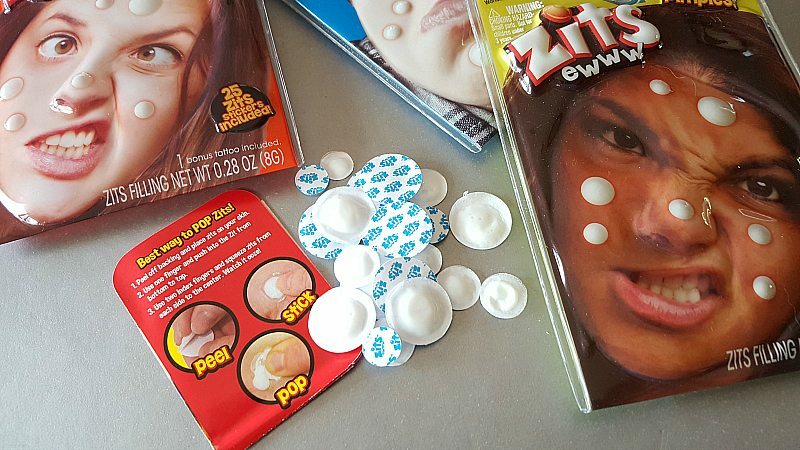 Previous generations had whoopie cushions and plastic piles of poop, but today’s youth can shock unsuspecting friends and family members with fake pimples that ooze. 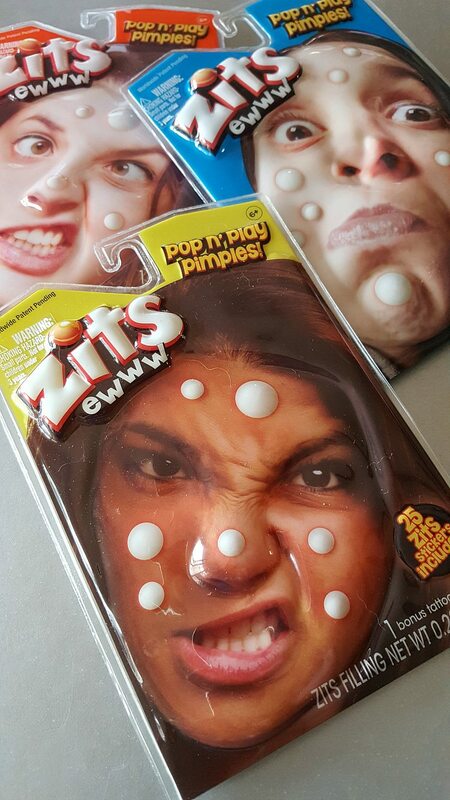 Each pack contains zits pimple stickers in assorted sizes. They are easy to apply and, also, easy to pop. This is a lot more fun than actual facial blemishes. Of course, they are safe and non-toxic. Check out this video of a mom having a great time with her kids and their Pop n Play Pimples. I’d recommend these stickers for prank loving teens and tweens, but I’m sure there are plenty of quirky adults who would be happy to stick them on. Then, at just the right moment, they can pop that pimple and make it ooze. 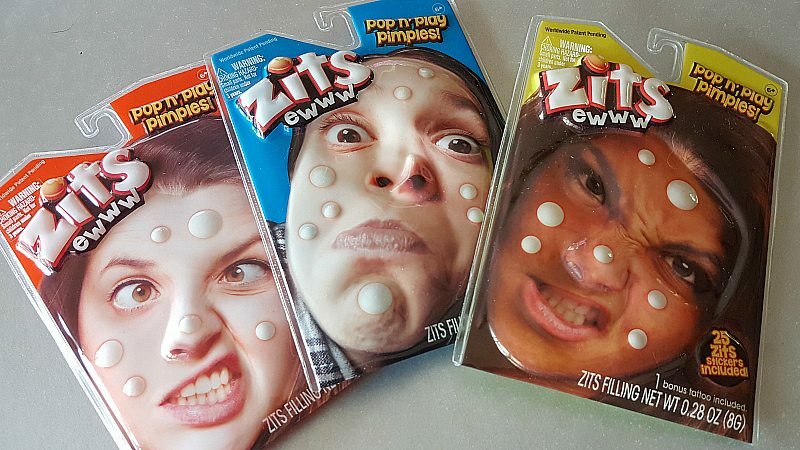 Do you have kids or co-workers who would find Zits Pop n Play Pimple Stickers hilarious? 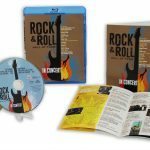 Buy them now from I Got Zits and look for them soon at Walmart and other retailers. This is a toy that can provide hours of entertainment and lots of giggles. 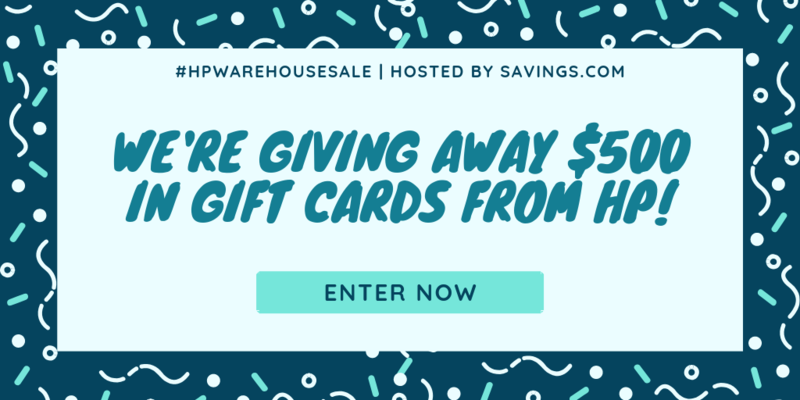 Want to enter for a chance to win more prizes? 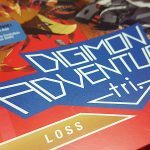 Then, check out my other giveaways!